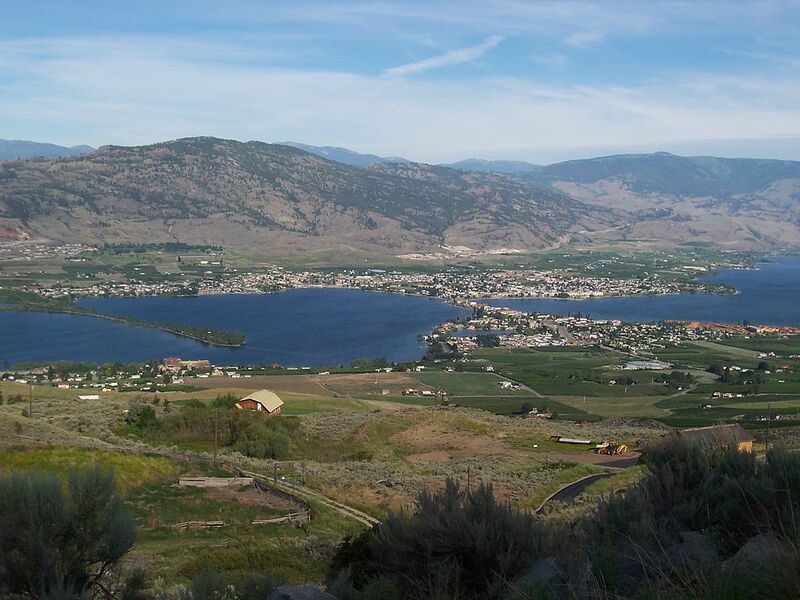 The Town of Osoyoos developed their Integrated Community Sustainability Plan, See Osoyoos Succeed (SEEOS), that included ‘The Lake’ as a priority planning area, recognizing the importance that Osoyoos Lake has in the community for environmental, social and economic/tourism values. The ICSP project was undertaken using the Centre’s “Quick Start” ICSP process, which provides a flexible framework with opportunities for community input to future visioning and action planning, while reducing costs and streamlining the ICSP process. 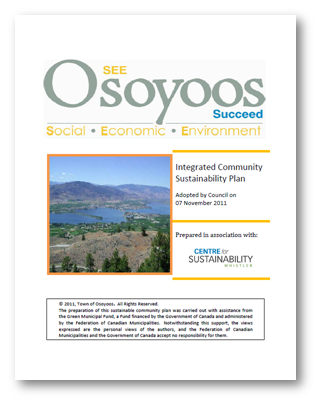 This will allow the community to quickly incorporate sustainability‐based decision making into plans, policies, projects, and practices.As an example of process flexibility, Osoyoos created a unique sustainability Strategy Area, “The Lake,” reflecting the role of Osoyoos Lake not only as an economic and recreation asset, but also as the spiritual heart of the town and valley, a major determinant of community livability, and an environmental treasure that needs to be safeguarded for future generations. SEE Osoyoos Succeed deliverables include a fully‐functional ICSP, direction on moving forward with implementation, and a broad set of implementation tools, including an indicators and monitoring, and reporting system, action planning tracking tool, a decision making framework, and templates for purchasing decisions and corporate reports.